The five-piece group from Surrey are up for best single for Fresh Start Fever, best album for Cavalier Youth, best British band and best live band, while guitarist Max Helyer is up for the "hottest male" prize. The event - officially known as the Relentless Kerrang! Awards 2014 - will be staged at the Troxy venue in London on June 12 and will be hosted by Andrew WK and Anthrax star Scott Ian. 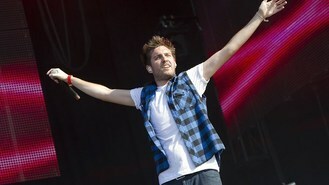 You Me At Six have won four awards at previous bashes staged by the rock magazine. They take on long-established acts such as Iron Maiden for the best British band title, in addition to Biffy Clyro, Asking Alexandria and B ring Me The Horizon.